Nokia, What The Heck Are You Tweeting? An obscene tweet surfaced from Nokia’s NZ account yesterday. A simple tweet like this below caused some stir among its followers and became viral. Who is behind this perturbing action? Well, no one knows. A dissatisfied colleague? Someone who forgot to “switch” accounts? A monkey tapping on the keyboard? The truth is that the firm issued an apology in order to make amends. Succeeded? Only time will tell. Who is behind @NokiaNZ perturbing action? Well, no one knows. 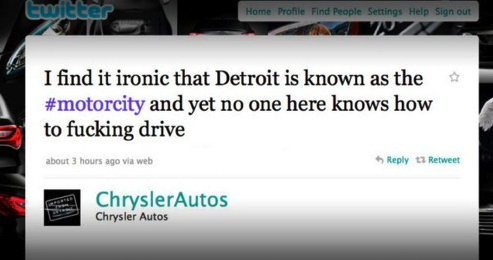 For the time being, this incident reminds us of another immortalized tweet posted by Chrysler some time ago and caused the drop of their social media agency. Not fun, people. There have been many cases like these, often due to an error between personal and business accounts. How would you feel if you found such a tweet from one of your beloved brands?